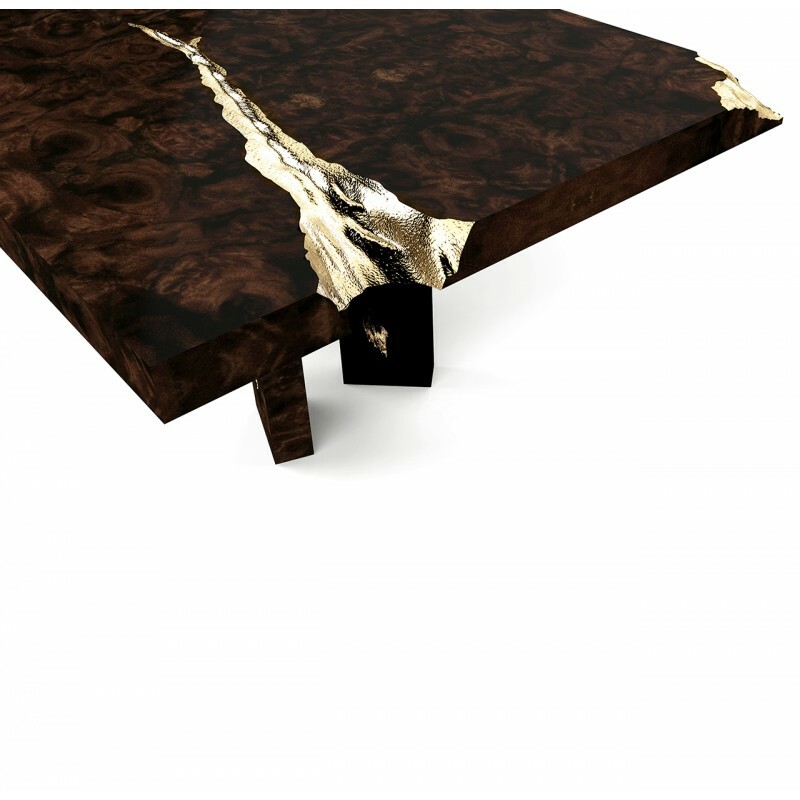 The Empire dining table symbolizes generations of gatherings and decisions, in an ode to strive for a prosperous future. 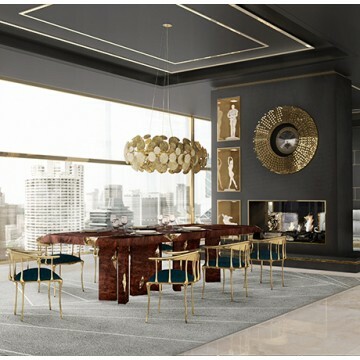 Product features: The Empire dining table’s surface is made in mahogany, coated in a fine wood veneer, with high polished brass details to fill the cracks. 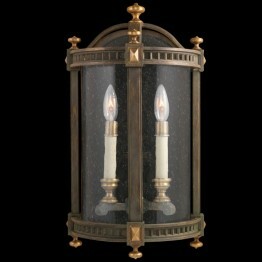 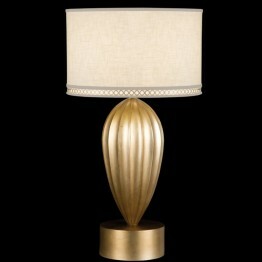 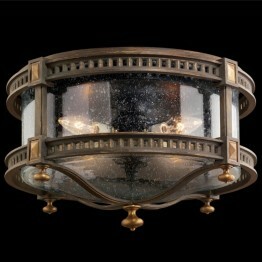 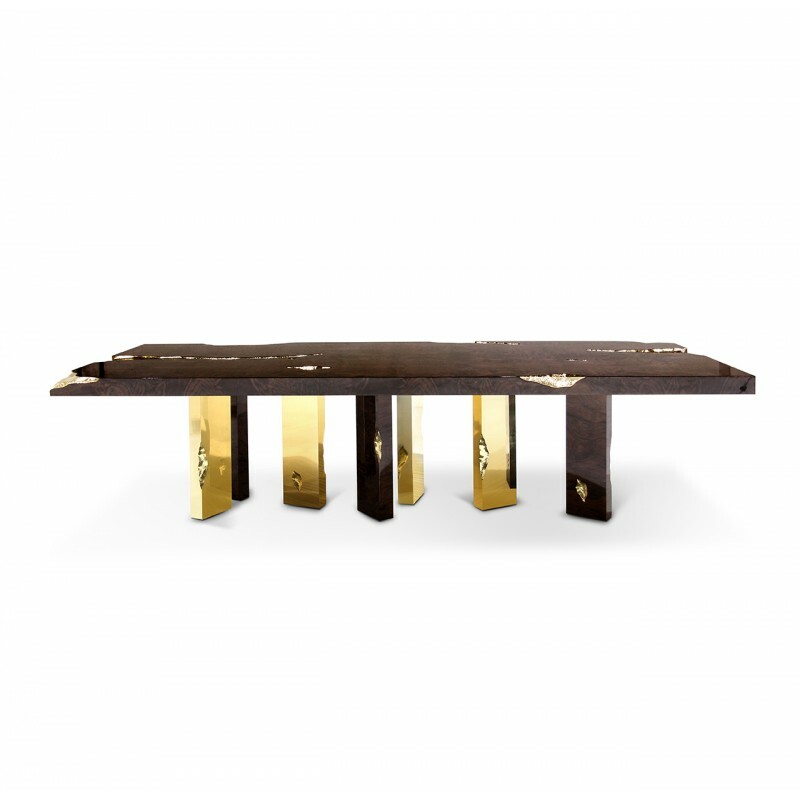 Its legs, also made from mahogany are finished the same way, and with polished brass sheets. 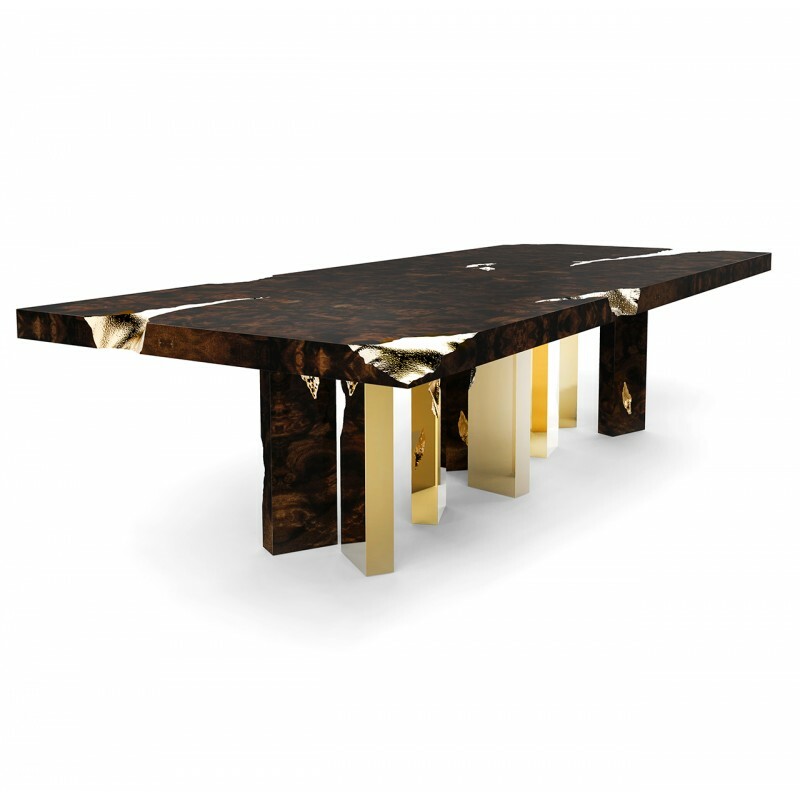 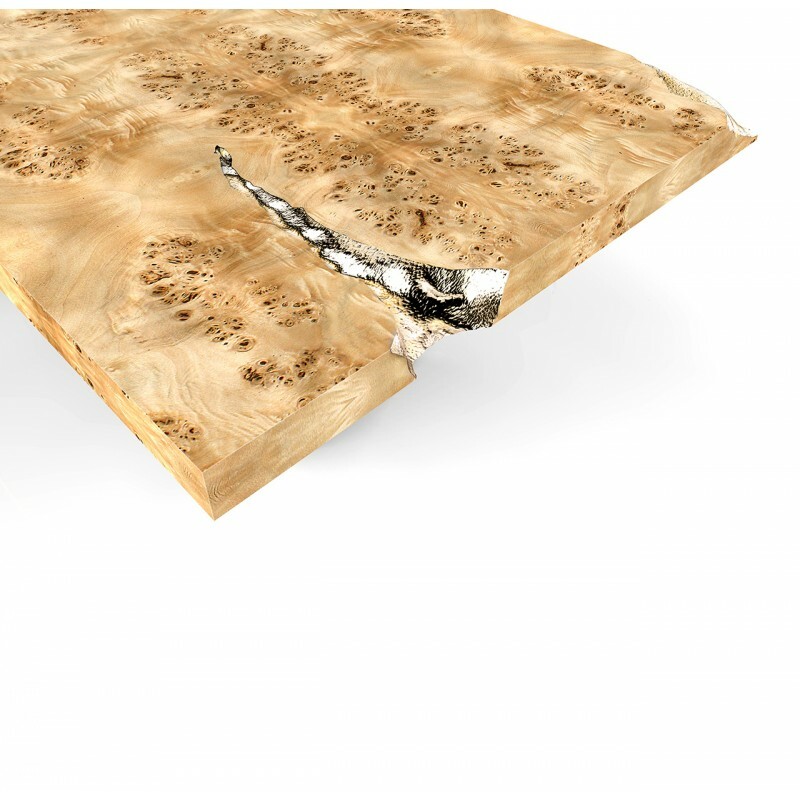 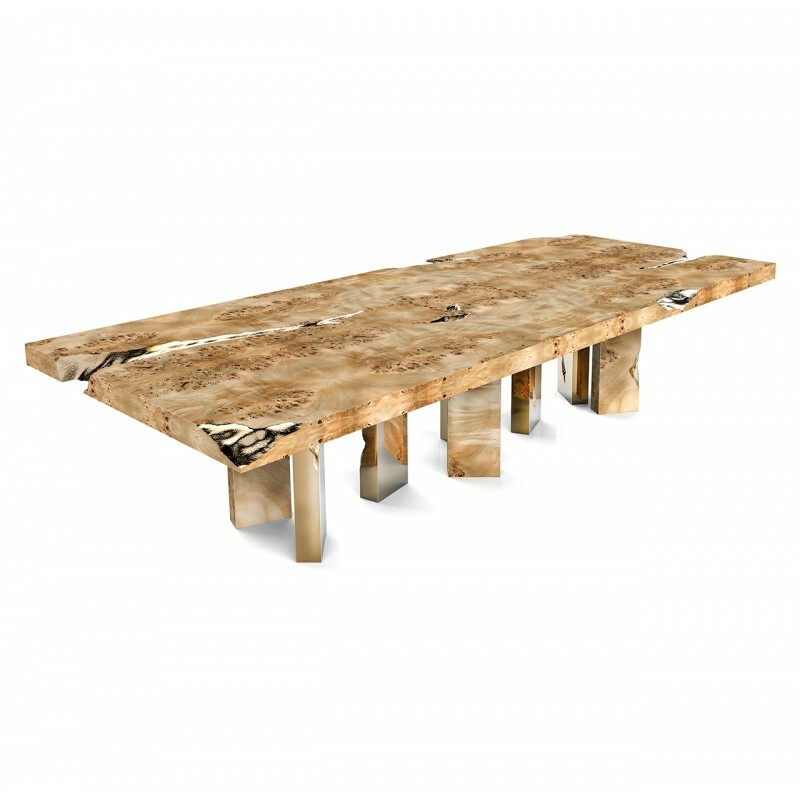 Product Options: The Empire dining table can be finished in Boca do Lobo’s fine selection of wood veneers. 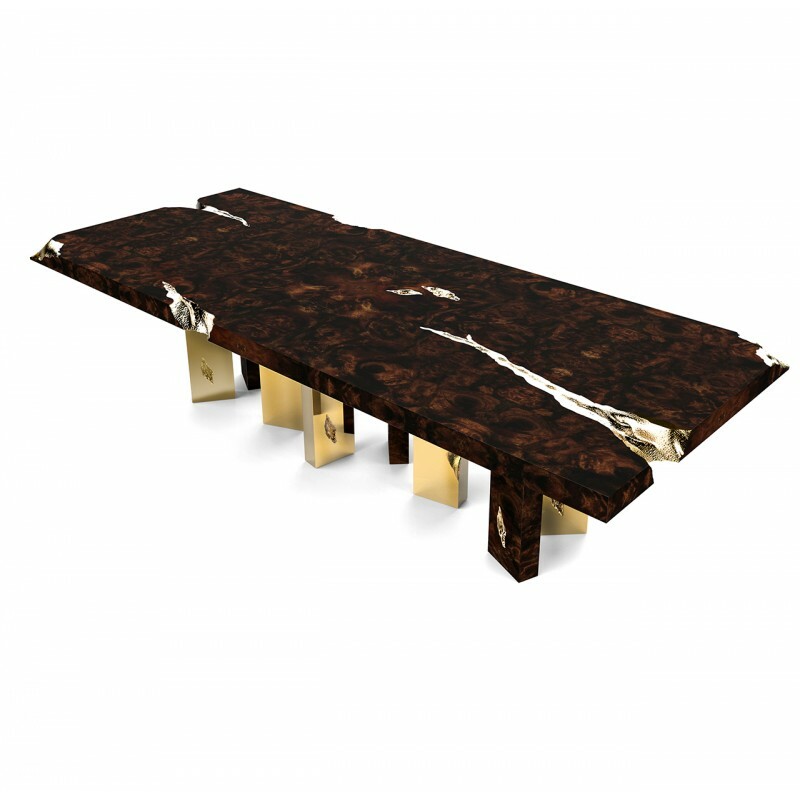 Customization: Boca do Lobo’s dining table’s can be customized in terms of finish and size, which may be subject to an upcharge.